The Republic of Costa Rica has worked hard, with the financial help of the United States, to industrialize and diversify its economy. Today, they are one of the most prosperous of Central America countries. Agriculture is a main source for national income, along with manufacturing. On top of this, Costa Rica has a strong and honorable government, an alluring culture, and a beautiful land. In addition to all of the above, and also because of it all, Costa Rica also has a thriving real estate market. If that’s what you came here to see, you’re on the right track. Click over to browse or search for properties. The listings are very colorful, in many senses of the word. You’ll find quaint villas, oceanfront condos, mountain homes, and private ranches. That is just a preview. You’ll get a better sense for what the market offers after looking closely at a few pages of available properties. Investing in foreign real estate can be a hard decision to make. Dominical Real Estate respects that, which is why we’re here to help. Let us guide you in putting a few more pieces to the puzzle in place and make it… maybe not easier on you, but certainly more comforting. One thing you gain from our assistance is confidence. No matter what choice you make, you can trust it’s the right one. We work with buyers of all kinds – newbies, seasoned buyers, investors, business owners, young, old, financially restricted, financially free, fill in the blank. However you define yourself as a buyer doesn’t matter. 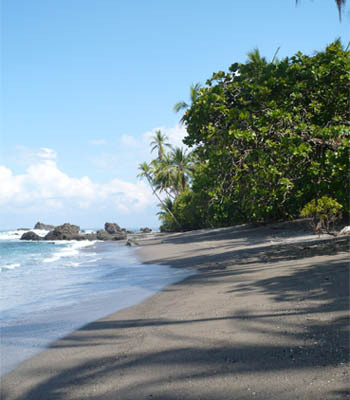 We have the resources, the experience, and the desire to take you to your future home in Costa Rica. Real estate is our specialty, and clients are our greatest asset. Will you partner with us on this exciting endeavor? Costa Rica is just a home away.